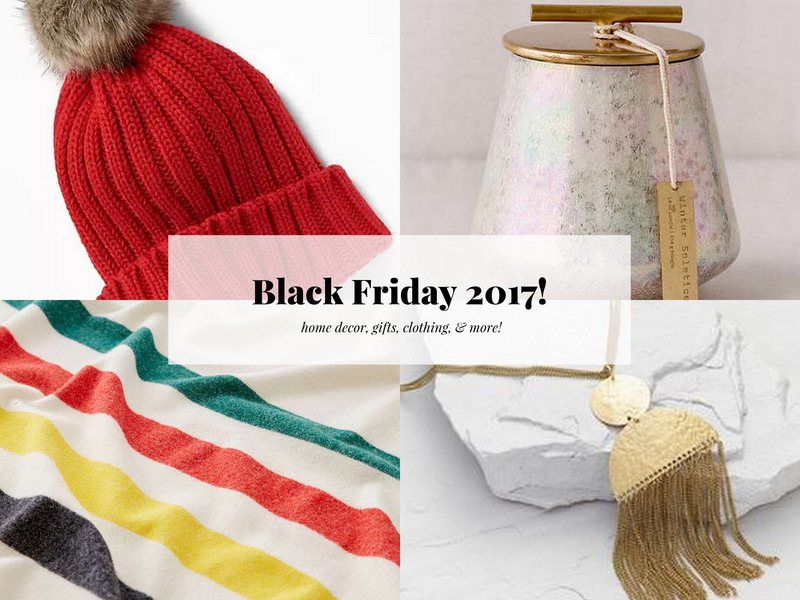 TOP Black Friday 2017 sales for early bird Christmas shopping, home decor, sewing, and more! We never did it when I was a kid, so as an adult I used to be totally into early bird Black Friday morning shopping for deals and sales. But the past couple years it has been stressful, time-consuming, and not that fruitful! This year I have HAD IT with in-person shopping at the big stores and I'm doing all my Black Friday shopping online--and hoping to make a big chunk in our gifting list! I've been watching for the sales that I actually care about (and you will, too) and have rounded up the TOP ones! Read on for gift ideas, home decor, a great quality fabric source, good stuff for yourself, and more! Some of these have launched early--shop Thanksgiving and Black Friday! First, the best Black Friday sale!! Jewelry!!! and jewelry boxes I'm buying some for me and gifts! I've found their jewelry sells out so take a look now! Women's clothing including pajamas, sweater capes, etc. So, enjoy that. I'm brainstorming gifts and I love the quirky, unique, and beautiful things they have there. But, on to the rest of my Black Friday sale guide. Click the black plus signs for direct links to each item. I vote toys, cold weather accessories, jewelry, and pajamas! Urban Outfitters has buy one/get one free everything-- great time to buy two of something like candles, throws, sconces...! 50% off at Express including my favorite, most flattering jeans! Plus Some fun goodies at Old navy also 50% off--I love the velvet everything for holiday parties, and these shoes are amazing and only $17.50! Quality fabric to inspire new year sewing! 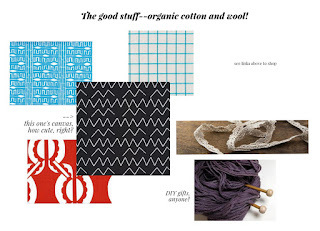 Organic Cotton Plus is offering 15% off everything on the site, all day! Great time to get quality their cute printed organic fabric, lace, and wool yarn! Best wishes on your Black Friday shopping!